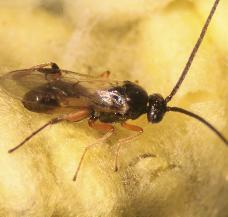 Locally occurring parasitoids can be highly significant in suppressing pest populations. 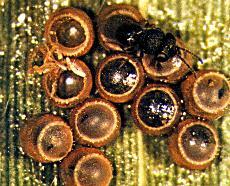 Their activity - especially that of egg parasitoids - is likely to go on un-noticed, unless you have been shown what to look for. 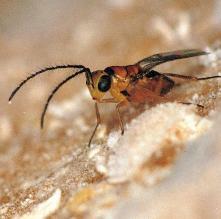 Trichogramma wasps are found in most crops where there are moth pests and where spraying is minimised. Telenomus sp are another group of egg parasitoids - larger than trichogramma they lay just one egg into a heliothis moth egg and are important early season parasitoids. 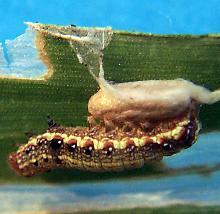 Microplitis are larval parasitoids with one parasitoid emerging from one heliothis caterpillar. 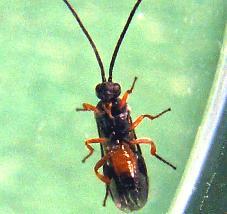 Cotesia are parasitoids of caterpillar larva and produce characteristic bundles of white or yellow cocoons. 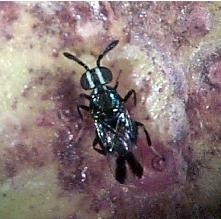 Orgilus lepidus is a major parasitoid of potato moth larva. For more info. Copidosoma is also a potato moth larva parasitoid. 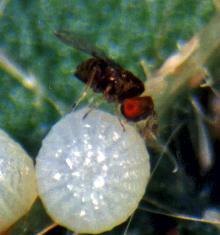 Diadegma is an important parasitoid on cabbage moth larva. 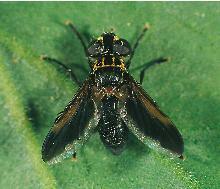 Tachanid fly species are many and their maggots have numerous hosts - from bugs to caterpillars. 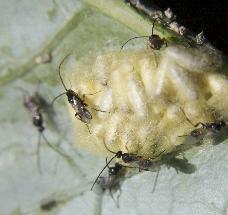 There are many species of aphid parasitoids other than Aphidius colemani which are very active in crops. 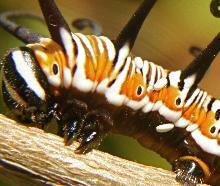 They all operate in a similar way to A. colemani so go to that entry for details. Aphytis species are mass reared for red scale in citrus and Metaphycus for soft scales but there are many other species active in crops. Leptomastix dactylopii has proved to be a very effective parasitoid for citrus mealybug and is commonly found in orchards. It used to be mass reared but an unidentified pathogen in mass culture has caused production to cease. The Good Bug Book entry provides a detailed description. 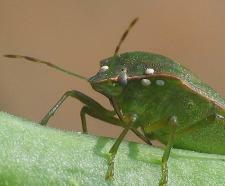 This green vegetable bug egg parasitoid was introduced from Egypt in the 1940's. Has been important in suppressing the green vegetable bug population in field crops especially soy beans. Cotesia adult just emerged from cocoons. 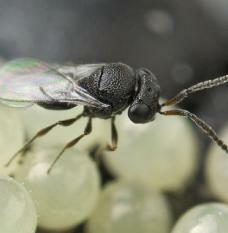 Trissolcus basalis - egg parasitoid of green vegetable bug - just emerged from parasitised eggs.